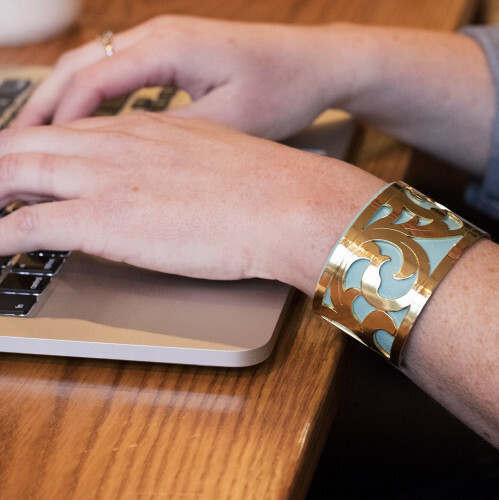 It’s easy to mix and match these cuff bracelets with interchangeable leather strips to coordinate with your entire wardrobe! 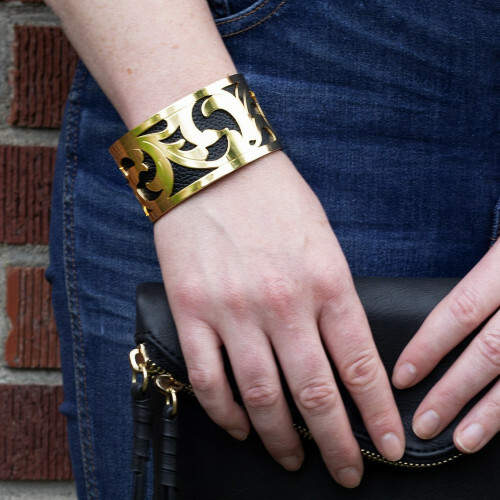 Metal filigree cuff bracelets can be worn individually or paired with your favorite color leather strip. 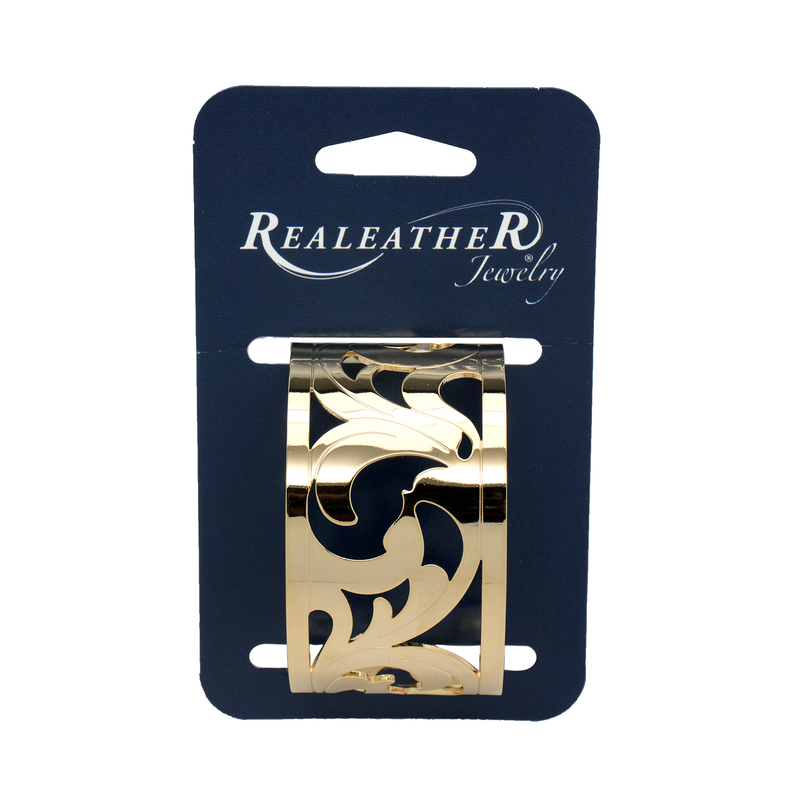 Simply press a leather strip into the cuff, no tools required. One size fits most. Leather insert strips sold separately.